Beautiful scenery, friendly people and fascinating history are interwoven in the tapestry of the growing Tri-Lakes communities. Monument, Palmer Lake and Woodmoor are at the north edge of El Paso County, situated at the high point between Denver and Colorado Springs known as the Palmer Divide. 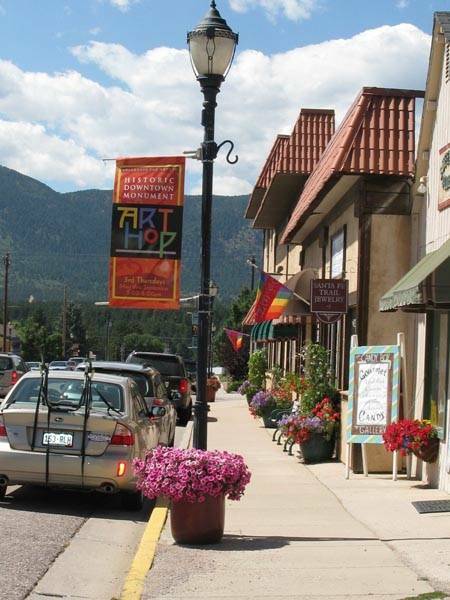 Adjacent to the Pike National Forest and just north of the United States Air Force Academy, the Tri-Lakes area is bordered by the Black Forest on the east, the Gleneagle community on the southeast and County Line Road on the north. Only 40 miles from Denver, 20 miles north of Downtown Colorado Springs and approximately five miles north of the Air Force Academy, the Tri-Lakes area is perfectly situated for residents who desire the diversity of mountain living along with easy access to Colorado's main cities via Interstate 25. Monument, Palmer Lake and the unincorporated community of Woodmoor came to be known as the Tri-Lakes area because of the three community lakes: Lake Woodmoor, Monument Lake and Palmer Lake. Schools for the Tri-Lakes communities are combined in the highly acclaimed Lewis-Palmer School District, with the high school located near the Woodmoor area. Elementary schools are centered in the individual communities.